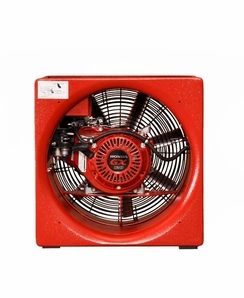 The GP164S is the smallest gas powered fan in the industry. With a seven-point 16” blade, this fan can fit into tight compartments, yet has the CFM output of a 20” electrical smoke ejector due to its powerful Honda GX engine. When there is no electrical power supply, and departments need a small fan with big power the GP164S is the perfect solution.